Because of the many advantages offered by socket head screws in comparison with normal hexagon-head screws, the use of socket head screws is increasing all the time. A disadvantage, however, is the accumulation of dirt in the socket, making them sometimes difficult to unscrew. This problem is solved in a simple manner by using Korrex protective caps. 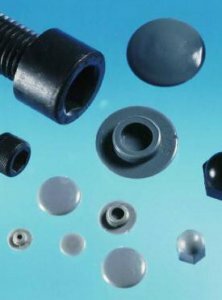 In addition to their use as protective caps for socket head screws, Korrex protective caps can also be used for other purposes, for example to seal the ends of tubes or to seal drilled holes. 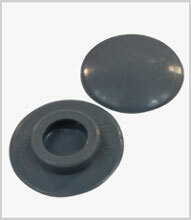 In fact the possible uses of Korrex caps are unlimited.